Registration works best on Google Chrome or Firefox browsers. Internet Explorer is not supported and you will encounter errors! Click Register Now to begin the registration process. A one day seminar providing a broad overview of ethical and professional issues designed for new lawyers in fulfillment of phase 1 of the Basic Skills Course Requirement. The Florida Supreme Court in The Florida Bar Re: Amendment to Rules Regulating The Florida Bar, Rule 6-12 (Basic Skills Course Requirement, 524 So. 2d 634 (Fla. 1988), made Practicing with Professionalism, mandatory for attorneys admitted to The Florida Bar after October 1, 1988. Effective on May 12, 2005, the Supreme Court of Florida amended Rule 6-12.3 and Rule 6-12.4. These amended rules state that in addition to attending Practicing with Professionalism, new admittees must attend three "basic" level substantive continuing legal education programs presented by the YLD. The Basic Skills Course Requirement must be completed within the initial 3-year continuing legal education cycle after admission to The Florida Bar or within 2 years after the expiration of any exempt status. 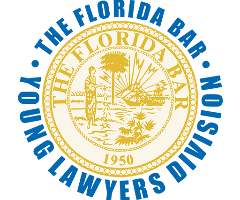 The Practicing with Professionalism requirement must be met within the first year of admission to The Florida Bar or one year prior to being admitted to The Florida Bar. 8:50 a.m. – 10:50 a.m.
11:05 a.m. – 11:40 a.m.